Once you step into the modelling career, one of the greatest challenges you face is to identify the type of model you wish to be. It is not easy to decide because there are multiple options available and each one looks equally impressive. You may model for magazines and newspapers, you may model for any of the renowned fashion brand catalogues or you may turn out to be a superb store model. Each of these options is great but you need to make the choice after understanding your skills. If you plan to model for a publication, then choosing Seventeen Magazine model is a great option. Here we have listed out a few ways to start modelling for the Seventeen Magazine. You may come across opportunities to model for the Seventeen Magazine way before you decide to enter the modelling profession or decide your niche. So if you want all the doors to stay open, do not miss an opportunity that comes your way. 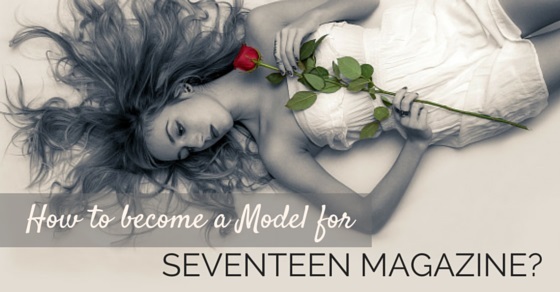 The Seventeen Magazine often comes up with a call for readers to pose for their magazine as their unpaid models. While there is no incentive, you still get to appear on the magazine. This can count as an experience for you in future. So do not neglect it as insignificant. They have updates on such events on their magazines in print as well as online. The social media is where most brands advertise. You need to keep track of the different social networks on which the Seventeen Magazine is active. You must like the Facebook page of the magazine if you wish to get notifications about their latest events. You may even checkout if they have newsletters and apply for the same. Seventeen magazine subscription is best for it. These are ways in which you can stay updated about the latest modelling events organized by the magazine. Once you have made up your mind that you wish to model for Seventeen Magazine, you may start a hunt online for all the modelling events organised by Seventeen Magazine. There could be modelling events where they act as the co-organisers. So stay alert and check out each event that is happening. Enrol in small and big modelling events in your vicinity. You may have to fill forms and send your profile pictures to enrol online so make sure you have your pictures and your profile ready. As you participate in modelling events and meet more people in your dream career, your reputation as a model improves. An individual who is planning to enter the career of modeling for different magazines and print advertisements must make a look book. A look book helps you improvise and also understand the plus points in your looks. You may have to invest a little money to prepare the look book that is a collection of your pictures in different poses, moods, expressions and outfits. Just preparing the book doesn’t help. You need to go through the pictures and understand what you need to improve in your looks. You may also get the look book reviewed by someone who is already into modelling. If you have to be a model for the Seventeen Magazine, you need to know how the models for the magazine look. Here is a brief description to help you out. The Seventeen Magazine usually prefers tall and thin models. The looks may vary from fair to dark and blonde to brunette. You may find it difficult to understand their preference and adjust accordingly. What you must do is be your true self and create a patent style so that agents and brands regard you a class apart. When you provide your pictures, also portray your real self. There are different specifications for different types of models and you need to know them if you have to be well prepared. The catalogue models have to be thin. The height specification of 5’7” or more may not always be applicable on catalogue models. If you are opting to be a runaway model, you need to be at least 5’9” tall. It is a criterion to qualify for the category. You may also start early by being a junior model at 12. You just need to be 5’6” to be a junior model. The diverse modelling agencies have their scouting events organized occasionally. Some of the models for Seventeen Magazine are selected from these events. So you need to make sure you keep track of all such events and take part in the scouting events. You may find information about these events from the agency and also on fliers and advertisements. It will be beneficial for you if you pick a photographer to work with you. It will be a symbiotic relationship where both of you will benefit equally. You need to click multiple pictures of yourself and these pictures need to be good if you wish to get some nice assignments. The photographers require multiple photographs and profiles to grow their reputation as a photographer. So pick a photographer and start working together. If he is an experienced guy, he will help you by clicking the best pictures. He may also help you create your look book. Make sure you have your profile updated on various modelling websites regularly. You never know where the doors to opportunity opens so don’t miss the chance. Reality shows often get you great opportunities so get ready and participate in America’s Next Top Model Contest. It is one of the most popular reality shows for models and you can bank on it. It is a competition hosted by the Tyra Bank and you simply need to fill in the application after downloading it. You may also get in touch with the CW Television station for the same. The above suggestions will help you get into Seventeen Magazine as a model, you need to have other attributes to stay in the profession. It is not easy to survive in the modelling profession. You need to make certain sacrifices and alter your lifestyle in a big way. Here we have listed a few tips that will help you achieve your goal faster. Yes, failures are part of the game and you need to face failures with a positive attitude. You may participate in contests and not make it to the final round. You may not even be called for interview in all the places you apply. You must have a stone heart and be ready to go ahead inspite of all the failures that come your way. It is not easy to be a model for popular magazines like Seventeen so you need to have courage. Your assets are what take you to the stage and get you important assignments. You need to respect this fact and maintain your assets. It is your slim figure that gets you assignments so make sure you do not gain extra calories. You should also maintain your hair and skin health. You may appoint a hair stylist to help maintain your hair bouncy and silky. You can maintain your skin healthy by taking proper care of it at home. Yes, even your teeth need to be healthy. People only look at models who have shiny white teeth. You need to maintain your teeth white and clean. If there is a layer of plaque on the teeth, ask your dentist to clean it for you. Regular check up will ensure that your teeth stay healthy all the time. A dietician can help you in many ways. He can suggest you to eat foodstuffs that help your teeth stay healthy. He may also suggest diet alternatives that keep you healthy and fit. A dietician can suggest the best food options that are palatable as well as healthy. So hurry and get the right help at the right time. It is a good idea to follow some model who has worked for the Seventeen Magazine and accept her as your mentor. Following her lifeline and understanding the path she chose to get to her destination will help you stay prepared for the same. If you read her blogs and posts, you will get an idea what are the hurdles in this field and how you may overcome them. Understanding these hurdles will help you deal with them wisely. There are leaders in this field who have really paid a high price to enter the career and stay there. When you follow the leaders, you will reach the pinnacle easily by following their footsteps and yet not making the mistakes they made.